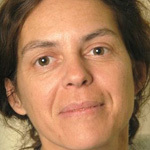 Jacqui Burger is the owner of Brighter World, an innovative and creative cross media company. Brighter World pursues projects that lead to a more livable, enjoyable and sustainable world. Brighter World recently launched Good to Give to offer Fair Trade and organic goods as gifts. Jacqui and Fons Burger wrote a series of practical, humorous and refreshing books with 52 tips to inspire individuals to take immediate and personal action in changing the world in the area of sustainability.